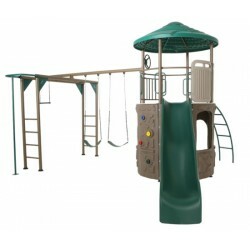 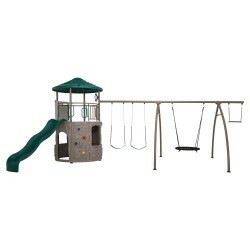 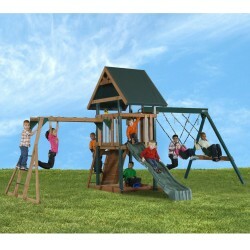 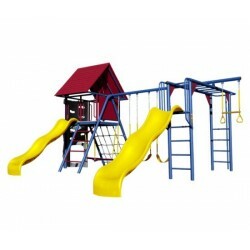 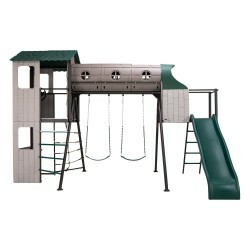 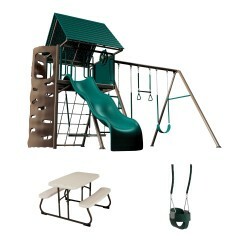 The Lifetime Adventure Tower Playset features a 5 ft tall deck with hard top clubhouse, (4) store fronts, (2) rock climbing walls, (1) 9' wavy slide, (1) steering wheel, (1) trapeze, car map, and (2) swings. 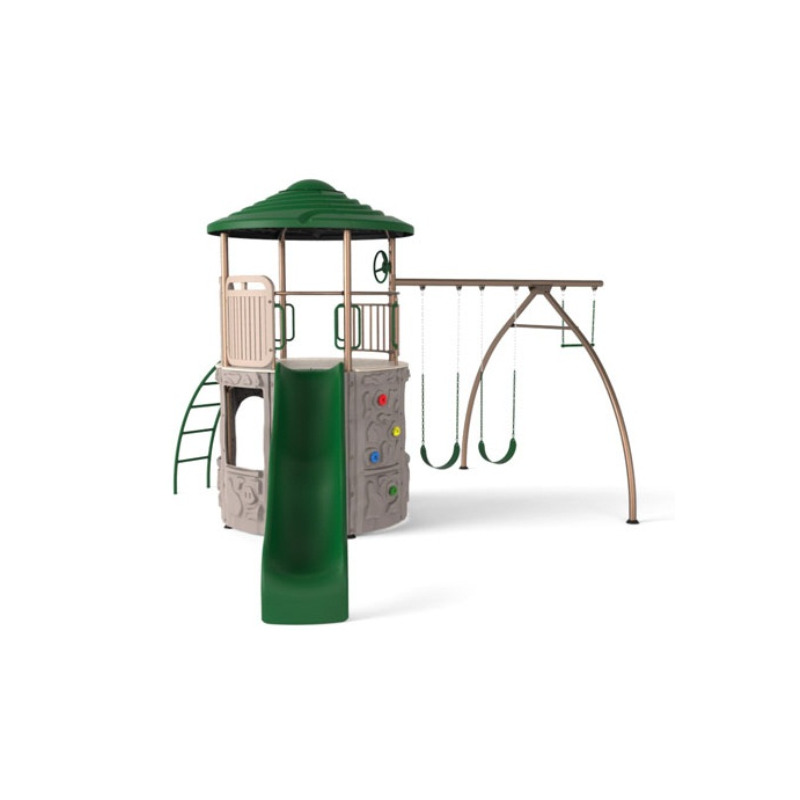 Covered by a 5-year limited warranty. 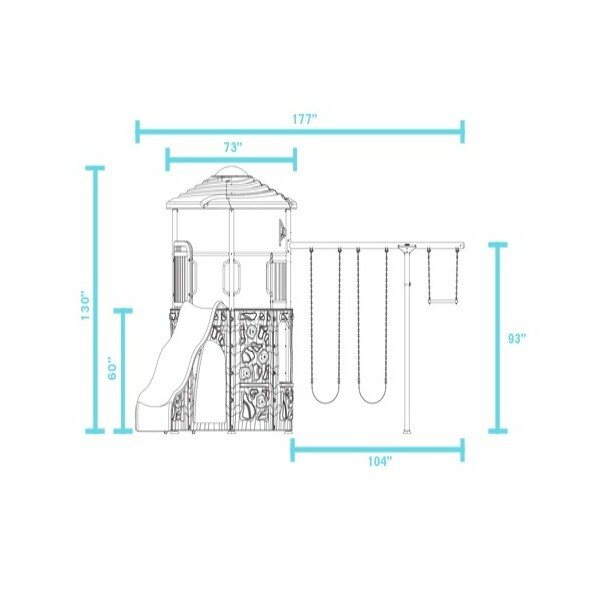 3.5 in. 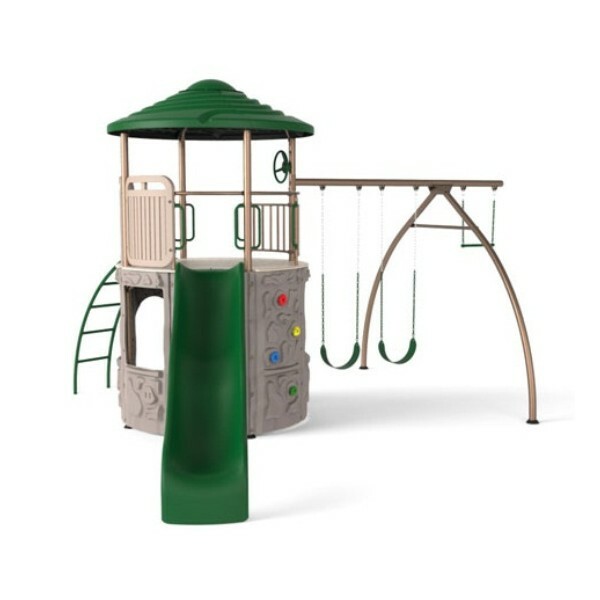 Diameter Steel Pole Structure - Weather and rust-resistant powder-coated finish. 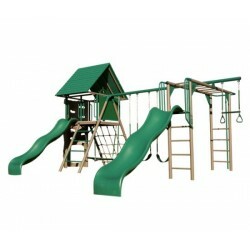 9-Foot Wavy Slide - Constructed of UV-Protected High-Density Polyethylene (HDPE). 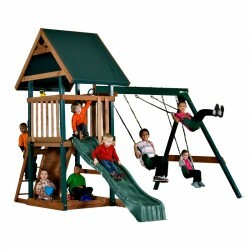 Covered Clubhouse - Features heavy-duty roof. 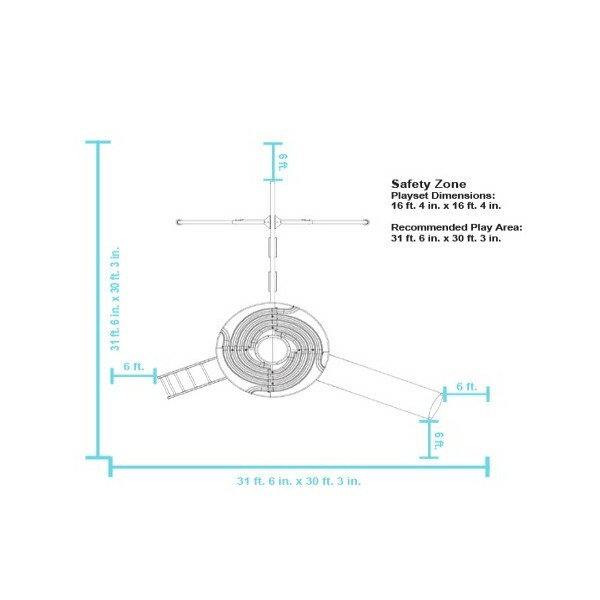 Rust-Resistant Zinc-Coated Chains - Rubberized grips to prevent pinching. 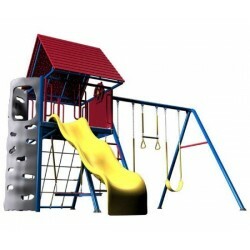 Safe and Strong Steel Construction - Passes playground performance and safety standards.